With weather conditions going from bad to worse throughout the Thursday Qualifying sessions, the usual shootout for pole in the third and final session didn’t take place. 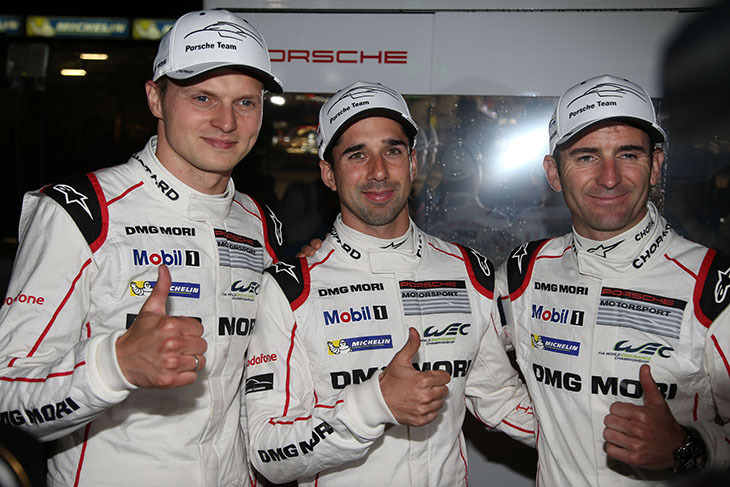 As a result, the quickest times in all classes from Wednesday’s Qualifying 1 session remained unbeaten, meaning the 3:19.733 set by Neel Jani was the tour which handed the #2 Porsche 919 Hybrid pole position for the 84th running of the Le Mans 24 Hours. The sister #1 919 will start from second, making it a 1-2 for the brand with the #6 and #5 Toyotas third and fourth respectively. 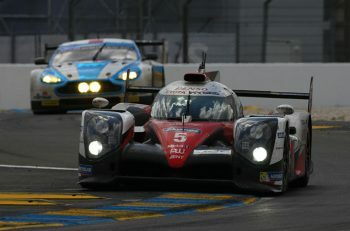 Audi will start from fifth and sixth, ahead of the two Rebellions in seventh and eighth. In LMP1 the only change in Thursday’s running was the #4 ByKolles CLM which set a 3:34.168 in the early part of Qualifying 2 with Pierre Kaffer driving to put it ninth and seven seconds adrift of the two Rebellions. 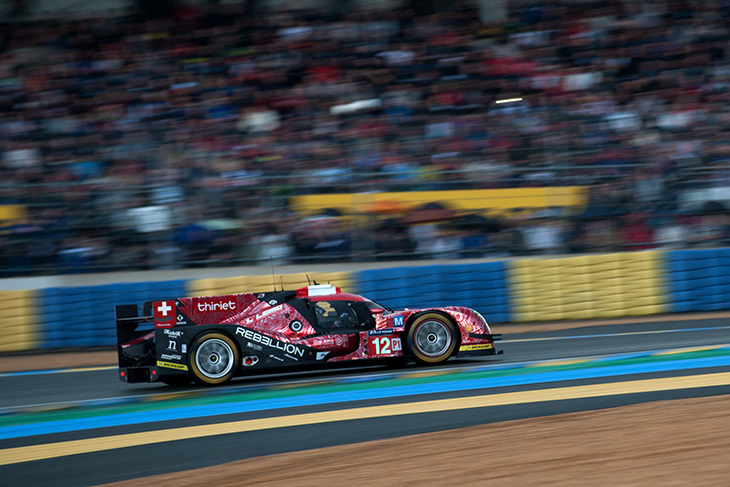 It was and two seconds quicker than the LMP2 pole time. 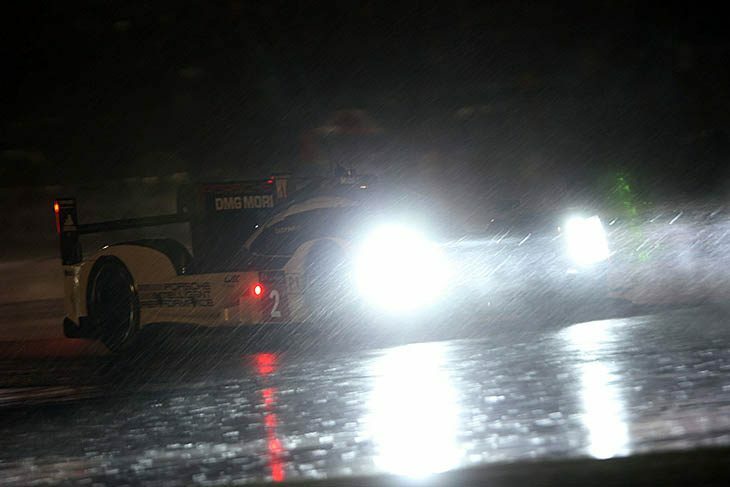 The final night session saw increasingly torrential rain prompt the organisers to put out red flags to prevent incidents caused by aquaplaning for almost an hour. The cars did however return to the track for a final period of green flag running in the improved, but still wet conditions. 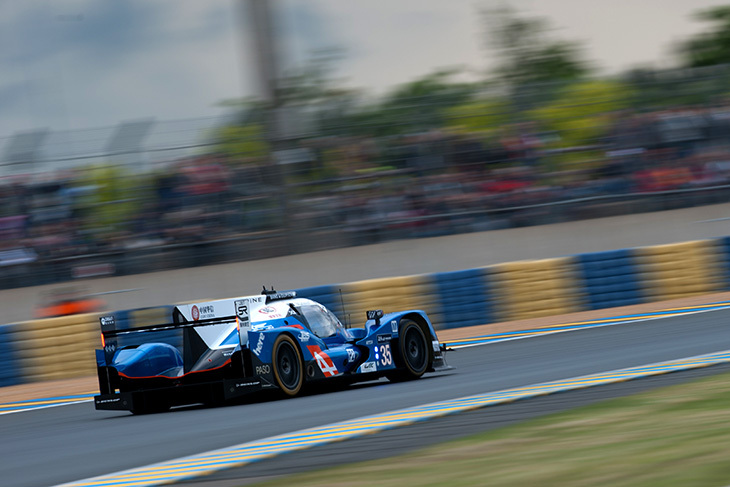 LMP2 pole was officially G-Drive Racing’s, with its Oreca’s 3:36.605 set by René Rast from Wednesday the best time. Second will be the #35 Alpine, with the #36 Alpine starting third; their times unchanged from Wednesday night’s running also. 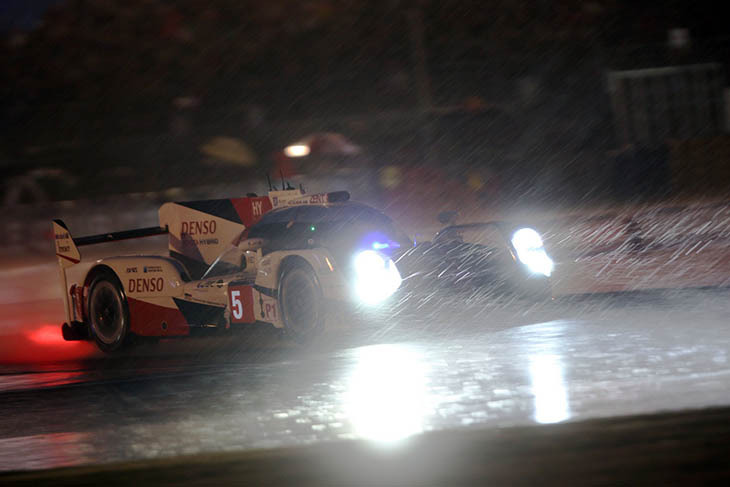 Of the incidents in the rain, the Extreme Speed Ligier nudged the wall lightly, and ended up broadside across the track. The American struggled to find reverse, but eventually sorted himself out and rejoined, no harm done. 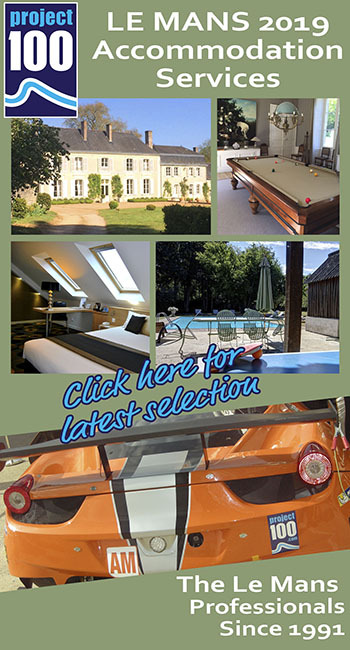 There were also notable penalties handed out, with the Algarve Pro Racing Ligier, the first to be penalised, followed swiftly by the #26 G-Drive Racing Oreca, both awarded a retrospective five minutes stop-go for speeding through a slow-zone yesterday. The #34 Race Performance Gibson fared worse, docked a ten-minute stop-go for the same offence. 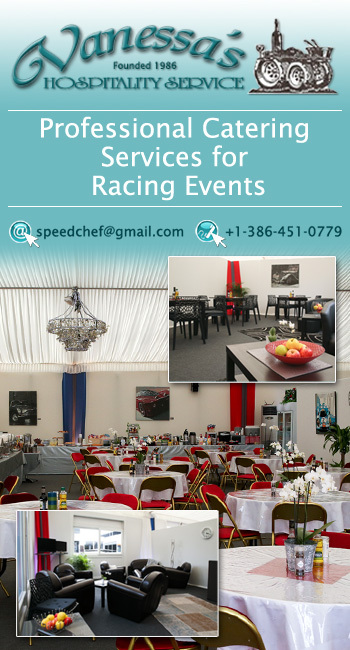 The #44 Manor Motorsport Oreca was the last to be slapped across the wrist, this time docked five minutes for overtaking through a slow zone, again, a penalty imposed for indiscretions on Wednesday. A handful of P2 cars made modest improvements within the first 20 minutes of Q2, largely due to poor running on Wednesday, but without making any significant impact on the running order. On the whole, though, the majority were falling well short of anything achieved on Wednesday. That was before the first signs of rain started to appear, with distant flashes of lightning suggested that worse was on the way. At half-past the track was officially declared “wet”, and just about the entire P2 field headed to the pitlane for wet-weather footwear. 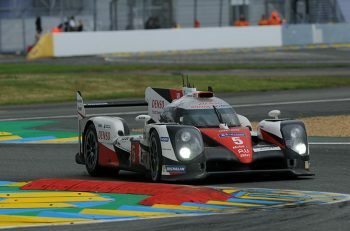 The rain did eventually ease, and the session resumed at 23:15, but only a handful of the P2 teams returned to the track, and that was how it all ended. 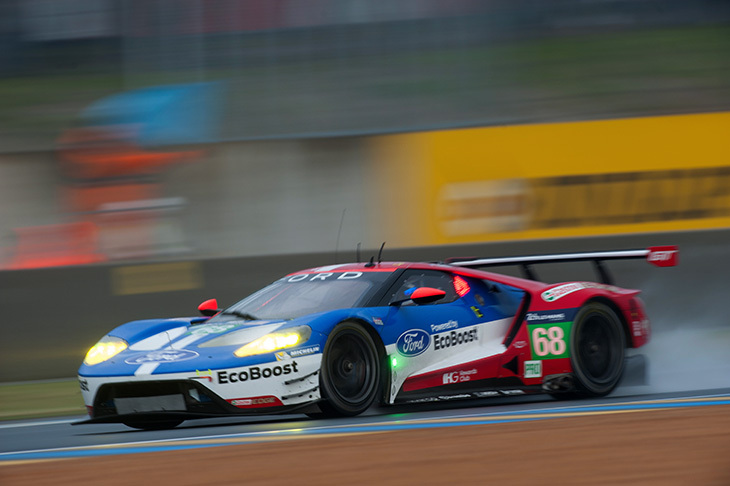 Ford will start first and second in GTE Pro for the 2016 Le Mans 24 Hours, after persistent heavy rain ruled out any chance of laptime improvements during Thursday nights two two-hour sessions. The two Chip Ganassi Racing IMSA Weathertech series entries, the #68 and #69, outqualified the #66 and #67 WEC cars, which remained fourth and fifth. Splitting the armada is the #51 AF Corse Ferrari, while its sister car the #71 will line up sixth. Seventh on the grid is the #92 works Porsche, the fastest car not a Ferrari or Ford. Next up is the fastest Aston Martin, the #95, ahead of the second Porsche (the #91), the #97 Aston, the #77 Proton Porsche and the two Corvettes. 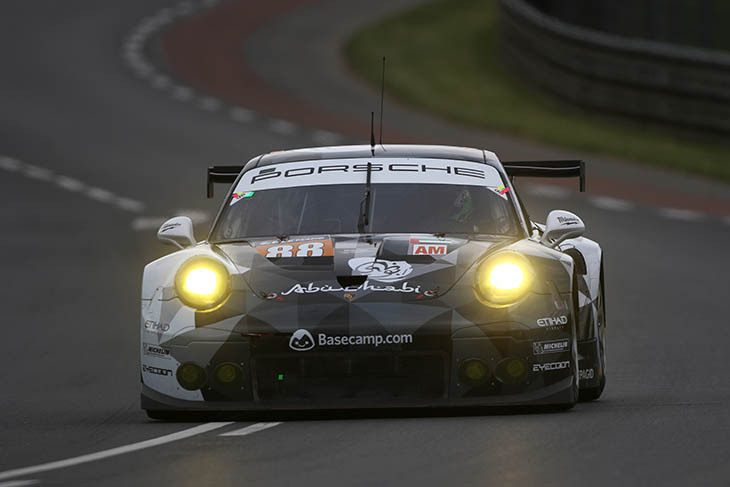 The final top three qualifiers in GTE Am, meanwhile, are the #61 Clearwater Racing Ferrari, the #98 Aston Martin and #88 Abu Dhabi Proton Porsche. Despite around half an hour of dry running before a wet track was declared about 30 minutes into Q2, nobody in GTE Pro managed to better their time before conditions worsened from about 7:30pm onwards. The majority of the entry did take to the track, however, the notable exception being the #95 Aston Martin while it changed an engine. 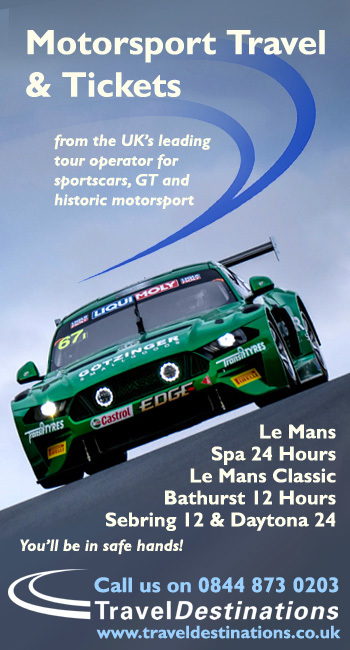 Similarly, in the GTE Am-class Beechdean Aston Martin, Andrew Howard explained a change to their race engine as the reason his #99 car would only feature in the last half-hour. With everyone else several seconds off yesterday’s qualifying pace, there was just one improvement: In GTE Am, Pat Long recorded a 3:57.513 to depose the #55 AF Corse Ferrari from third. Also in the dying minutes of dry running, Wolf Henzler’s #78 KCMG Porsche improved its best time, although this would not actually improve its qualifying position of eighth. Duncan Cameron stayed out in the #55 Ferrari to dial in wet laps as others slowly reappeared from the shelter of their garages to begin an evening’s wet set-up work. Just 10 minutes respite from the rain was on offer at the start of Q3 before a torrential downpour caused aquaplaning into the first turn at the pit exit. The spinning #82 Risi Ferrari was the signal for others to quit the conditions, Matteo Mallucelli hanging onto the 488 GTE as the red flag was shown. With even the Audi R8 safety car getting its tail out into the Forest Esses before collecting it (prompting a spontaneous ripple of applause from the media centre for Yannick Dalmas at the wheel), it was no huge surprise that the red flag came out for 50 minutes.